After a thirty second emergency phone call from Josheeba, I ran to the train and arrived after the first number. 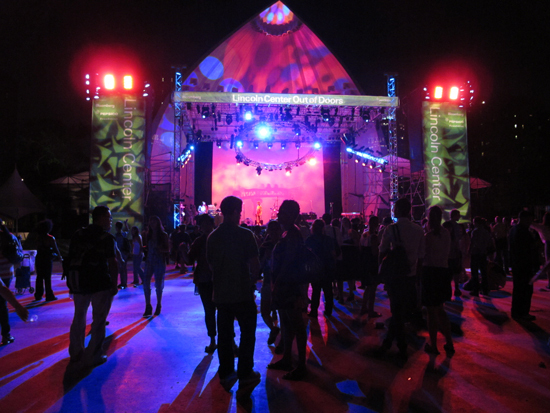 Front and center with plenty of room to boogie. UNREAL. 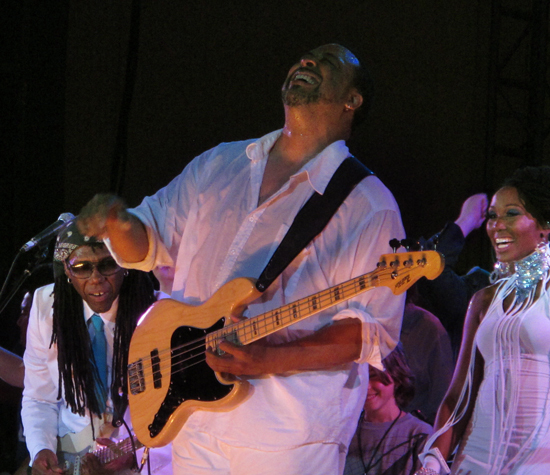 The sound was perfect and the band was tighter than maybe…well…ever before! It was a New York moment – to be listening to and loving so hard, the songs I call my favorites. To hear lyrics like, “Cute ponytails and curls,” or “Clams on the halfshell – and rollerskates,” being blasted from the bandshell at Lincoln Center was getting me close to a disco seizure. HELL YEAH! 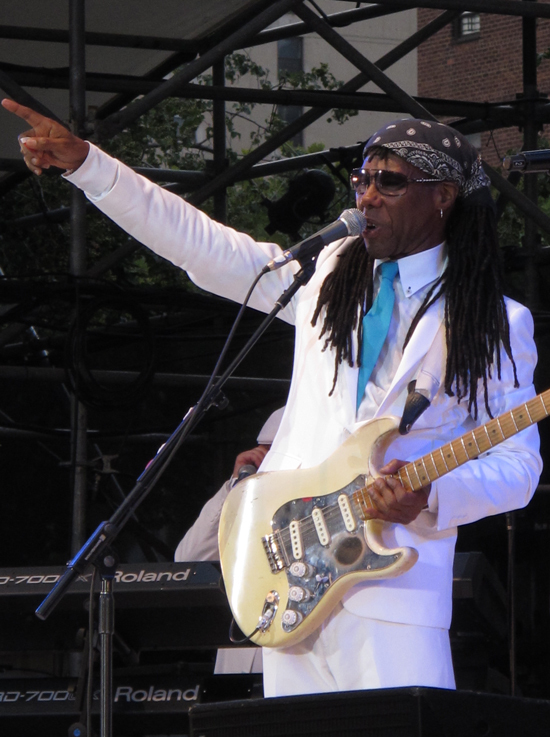 This is one to cross off the bucket list, seeing Nile Rodgers perform live with CHIC? Oh yes darling, I did that. AMAZING! 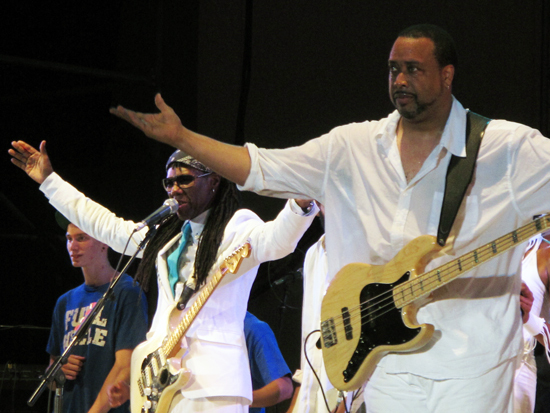 Nile said recently, “You have to remember, all CHIC songs are non-fiction. We always tell the truth.” Works for me, kids. Now ask yourself – what other artists can say that about their music? Certainly not Janet or Madame (MDME). Truthful lyrics make the music have magic. 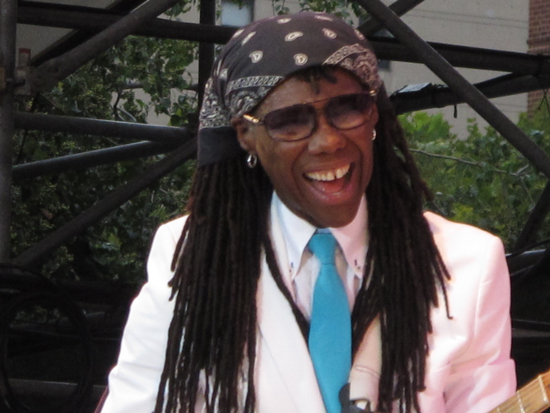 LONG LIVE NILE RODGERS. 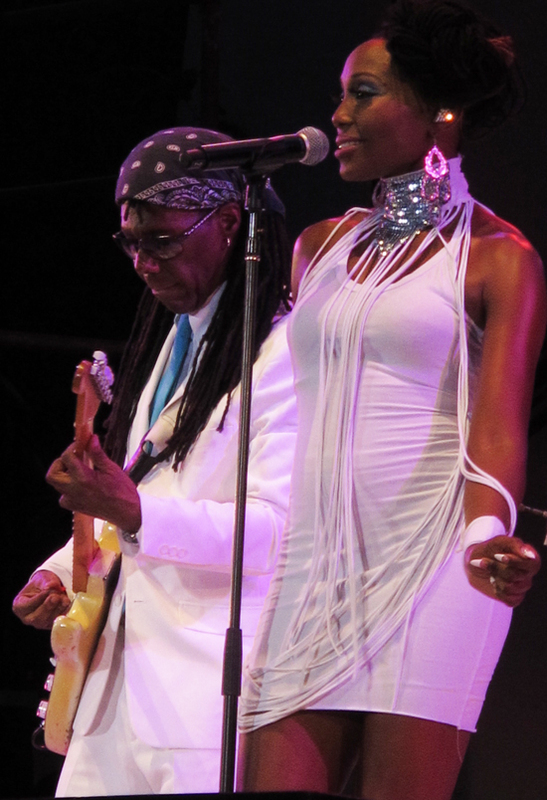 Amen to CHIC. Watch the video in the previous post for more drops of disco wisdom from Nile. Here are some bits from the show… the sound recording is not good, but you can get a taste of the excitement. 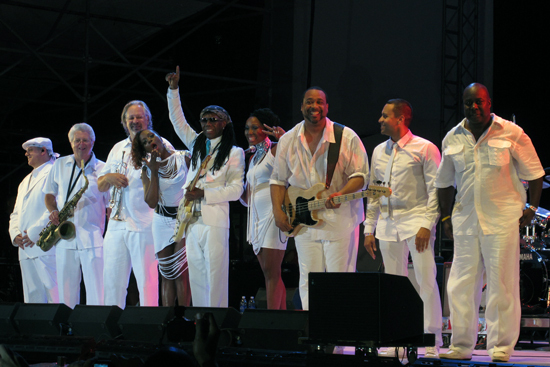 PLEASE NOTE: Everyone is in all white and Nile wore a turquoise tie. CHIC. 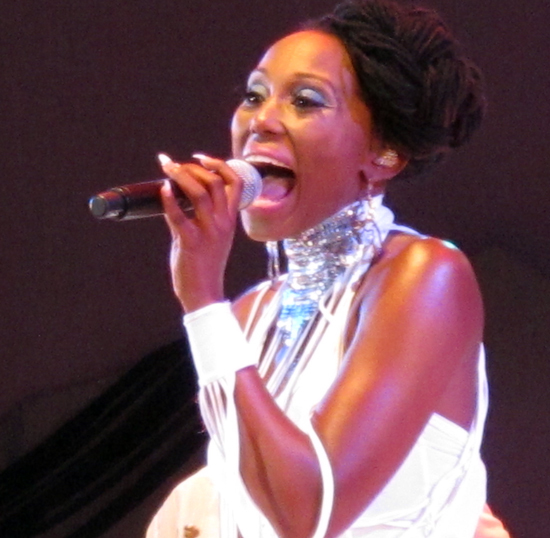 The lead vocalists wore custom dresses with a nod to the the cut up t-shirt effect. CHIC. They use rhinestone studded wireless earpieces. CHIC CHIC. A little choreography goes a very long way with songs like these. CHIC. And, as Josh put it, that move is called a “shake your bangle snap.” CHIC! This entry was posted in fashion and tagged All The Music, CHIC, Dance, DISCO, fashion, Nile Rodgers, Real Stars, style by Billy Beyond. Bookmark the permalink. Pingback: Inflatable Ferret » aAAAH Freak Out!